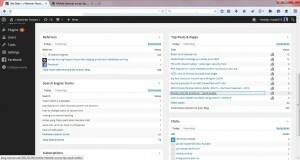 Recently , I got asked, why did you write blog ? I said because I love to jot down my thought share something useful for my future self. Because in my line of work, I would regularly do a google search of whatever problem that I am facing. facing the same problem before me. Because that person posted his solutions or workaround somewhere on the net, I can easily resolve the issue at hand. I can’t even figure out which notebook stored that particular information. Therefore this blog serve to fill that gap. I would write as being explaining the problem and solutions to someone like me, who is looking for the solutions or work around. For example, while traveling overseas, one of the issues I regularly facing is “how to get to hook up to internet with cheapest possible plan”. While in Jakarta, I would bring extra android phone, one for local SIM, and the other for my regular/personal numbers.. the local prepaid SIM will be subscribed to internet and set to enable “tethering” . And this might differ of locations, such while in Pheonix,USA would be cheaper to get online via Hotel WIFI and share that between few colleague by letting just one become the “internet gateway” . True enough, after few years I posted something based on my trip, someone else did the search and found my blog post. Hope that would help him/her to get around while at “Tanah Suci”. 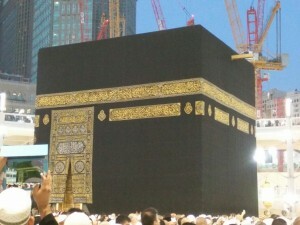 p/s : Thanks to Nieyna for the recent photo of Kaabah..
« Post before this: Laser-like focus on positive and goals.